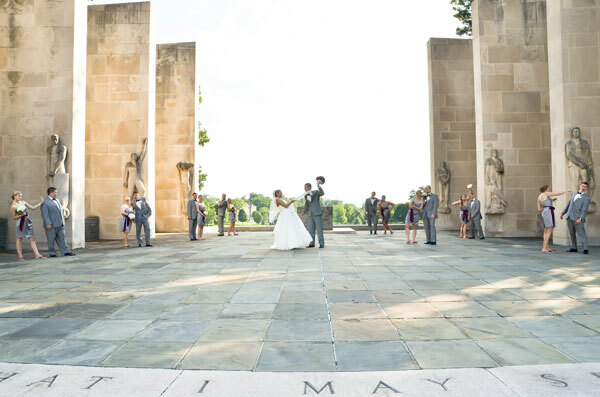 Mat and Kate met at their favorite spot in Blacksburg, where he was a senior and she a grad student at Virginia Tech. 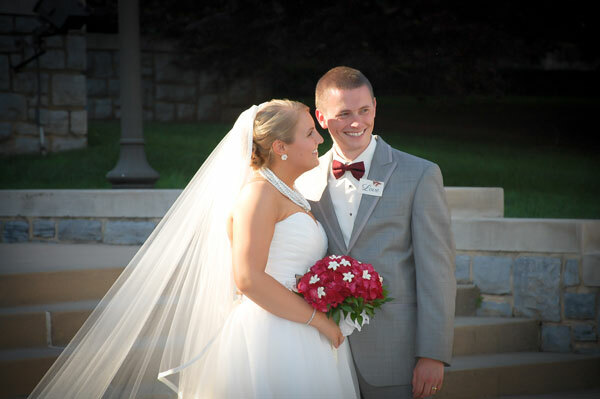 After graduating, Kate taught kindergarten in Roanoke while Mat stayed in Blacksburg for medical school. One cold, rainy Friday in March, Kate went up to spend the weekend with Mat; he took her for a walk on Tech's campus, where he proposed. Both Kate and Mat say their favorite moment of the wedding day was when she walked down the aisle; they agreed that the world seemed to stop and they felt like the only two people in the room. Kate laughs, however, at remembering that the ringbearer sitting at the alter kept squeaking his shoes. 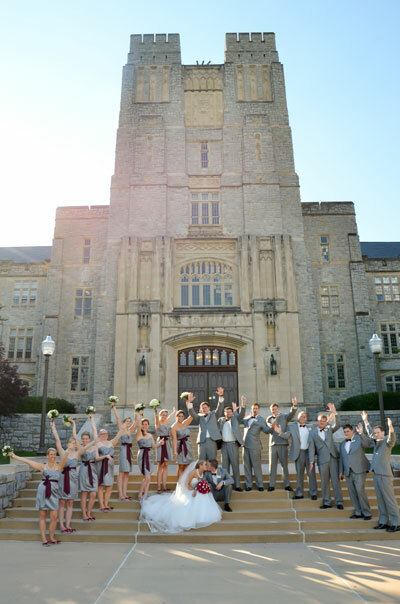 The Harrell wedding was "them to a tee," as they were married at Virginia Tech; even the famous Hokie Bird showed up! 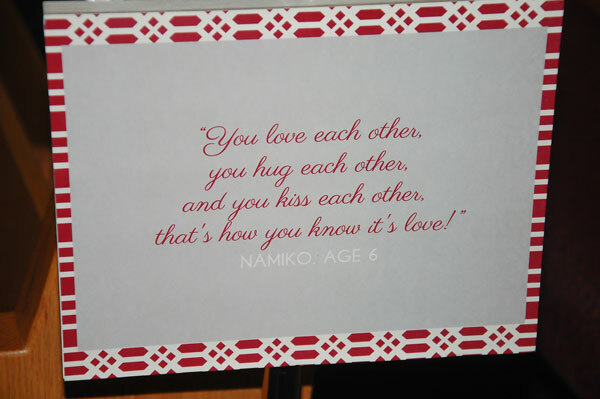 Kate hung love quotes from her kindergarteners throughout the ceremony and designed her invitations, programs, and favors. Maroon, ivory and gray kept the classic Hokie theme, with rally towels and koozies as party favors for guests. Centerpieces were handmade table runners with small black lanterns and wine glasses filled with flowers that also had Kate and Mat's engagement photos on them. 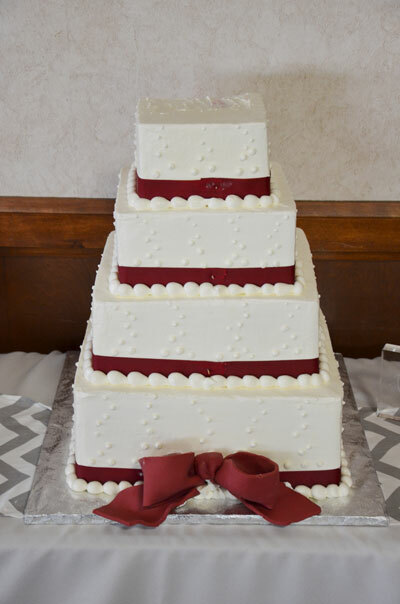 Their cake had four layers: red velvet, yellow cake with strawberry filling, chocolate, and carrot. The newlyweds took a honeymoon cruise to Cozumel, Mexico, where they could relax and enjoy the beach and sunshine. 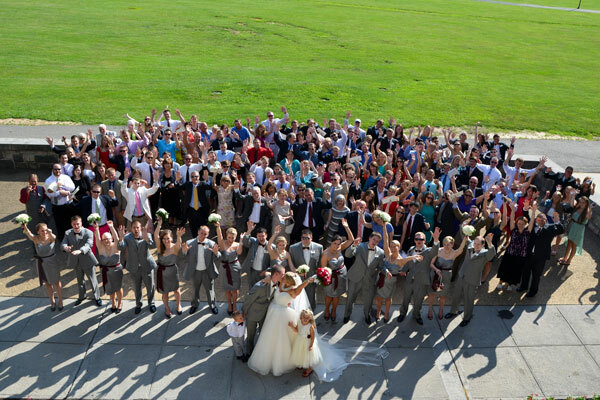 Be sure to see the Harrell wedding on page 54 of the second issue of bridebook, on newsstands now!